Alexandre Dumas was a man of contrasts, a larger-than-life character whose exuberance left no one indifferent. A writer, a dramatist, a journalist and art critic who was never at a loss for words, Dumas was also a tireless traveller, an eternal romantic, a gourmet of refinement … in short, a man of multi-facetted brilliance. He regaled guests with his wit, panache and humour. His zest for life, his immense capacity for work and his achievements still fascinate. His life was as colourful as his novels. 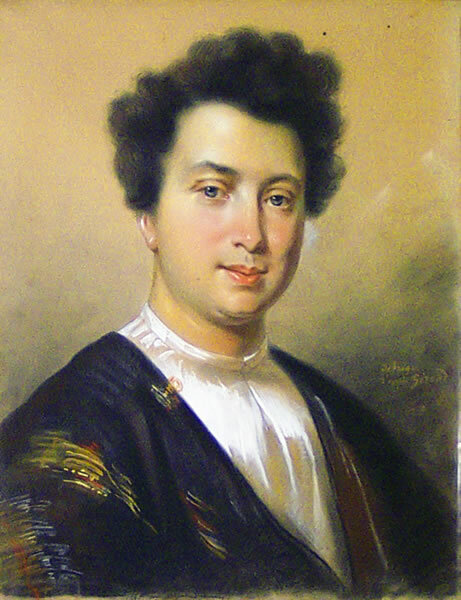 Born in 1802 at Villers-Cotterêts, Dumas was the son of General Thomas Alexandre Dumas Davy de la de la Paillèterie and Marie-Louise Labouret, the daughter of a local innkeeper. His father in turn was the son of the Marquis Antoine Alexandre Davy de la Paillèterie, a plantation owner on Saint Domingo. 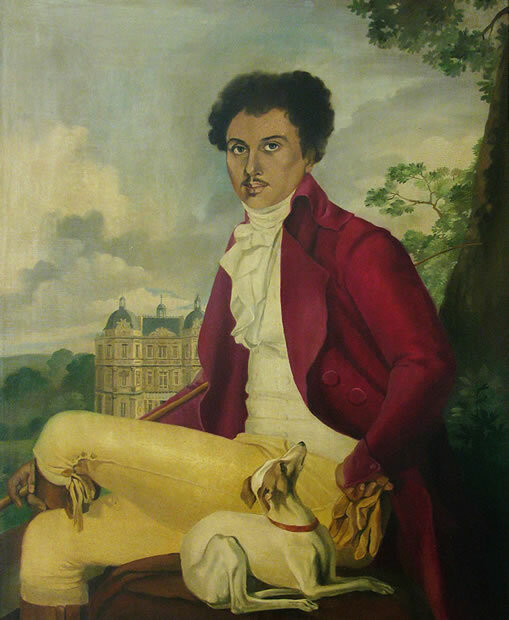 His mother – the writer’s grandmother – was Marie Cessette “du mas”, a black slave who worked on the Marquis’ plantation. Hence the writer’s African blood, a racial difference that some critics exploited throughout his lifetime. Dumas’ father, Thomas Alexandre, was unable to enrol in the army under his father’s name. Instead, he took his mother’s name of “du mas”, which passed in turn to the young Alexandre. Dumas was only 4 years old in 1806 when the General died. The Dumas family had little money and the boy’s education was erratic. He loved the outdoors and preferred to spend his time hunting than sitting on a school bench. He ran errands at first, then became a notary, though he found it dull. A meeting with the librettist, Adolphe de Leuven set Dumas dreaming of Paris, the theatre, and high society. Aged 21 and penniless, he set off for the capital to discover the world he aspired to. Working as a copyist in the Duke of Orleans’ library, Dumas read voraciously, went to the theatre and acquired a knowledge of literature. Dark-skinned, with black hair and deep blue eyes, the young Dumas was attractive. His huge enthusiasm and lively mind enhanced the effect, and his life was peppered with passionate love affairs. Laure Labay, Mélanie Waldor, Belle Kreilssamner, Ida Ferrier, Emma Manoury-Lacour, Isabelle Constant, Marie de Fernand, Emilie Cordier, Olympe Audouard, Fanny Gordon, Addah Menkken…the list of his amorous exploits is long. Dumas only married once, but his union with Ida Ferrier did not last. Often engaged in several affairs at once, Dumas’ attitude was frivolous and sometimes caused scandal. For him, a life without love was inconceivable. In 1824, Laure Labay gave birth to his son, Alexandre. In 1831, it was Belle Kreilsammner’s turn, with a daughter, Marie-Alexandrine. Dumas recognised both children in 1831. A strong, if often stormy relationship developed between the children their father. Dumas had no legitimate children. He never recognised children by his other relationships and he has no direct heirs today. The writer lived out his life with gusto and exuberance. He was rich and debt-ridden by turns. His life was a blend of work, love affairs, gastronomic pursuits, travel and entertaining. He even dabbled in politics, actively supporting Garibaldi. There were glittering success, there were defeats. Dynamic, indefatigable, he was always in the limelight – and he attracted more than his share of criticism in the process. In 1870, Dumas died at his son’s home in Puys, near Dieppe. He was 68. On the 30th November 2002, Alexandre Dumas was given a national tribute and he was laid to rest in the Panthéon.